You’ve picked up your latest bangin’ motor from the car dealership – now it’s time to hit the road. Indeed, little beats that fine feeling of putting your pedal to the metal for the first time. The smooth acceleration until the speedometer teeters on 60mph; turning corners with the grace of a pirouetting ballerina; feeling the forward thrust of a gear change, like you were Han Solo sending the Millennium Falcon into hyperspace – this is heaven. But roads are dangerous places, no matter how smooth the drive. Just imagine jetting along the motorway, only to smash into the side of a bumbling Vauxhall Nova or a roaring 4X4. Whether you’re in a Maserati or a Volkswagen Beetle, the outcome of an accident is unknowable – and could prove fatal. There were more than 24,000 serious accidents on Britain’s roads in 2014, racking up a death toll of 1,760. And the large majority of these vehicular blunders stemmed from shoddy driving. Yet, some people couldn’t care less about harming others. These piston-loving petrolheads and cackling boy racers race along highways, car parks and country roads like they owned them. If you encounter these tarmac demons and suffer a smash, there’s only one thing to do – get in touch with a car crash claims lawyer. 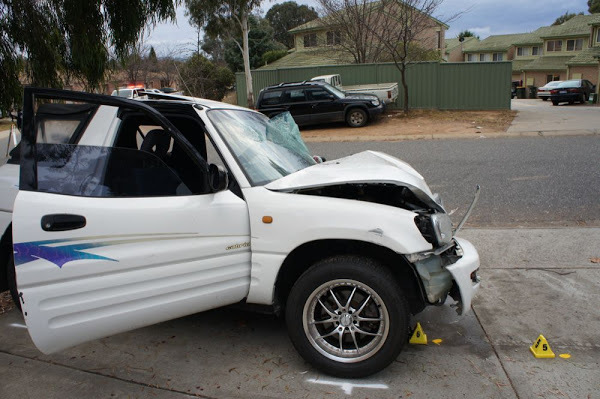 Personal injury claims lawyers have become a staple of the courts system, and they’re putting dodgy drivers who create car accidents bang to rights. Just imagine what those boy racers would be like without injury claims hanging over their heads – they’d hit the accelerator pedal with a shrug of the shoulders and a mad cackle of glee. The process of making a car crash claim is easy if youget in touch with the right representation. But what does it involve? First, you’ll have to detail your accident to your lawyer. They’ll then decide if your case has legs. If you get past this first stage, it’s time to make like Miss Marple and gather evidence to bolster your claim. CCTV footage, speed cameras, police reports, witness statements – all this and countless others could prove vital to making a successful claim. Then, the process falls largely in the hands of your legal representation. They’ll wangle settlements and amass more evidence, turning your case from he said/she said into a precision instrument. And if negotiations break down, it’s off to court with you. This can be a stressful time – no one likes to be questioned in front of an audience – but provided you put your trust in your lawyer, the process will be a cinch. Ultimately, making a claim willhelp you reach closure after a brutal accident. So, if you’ve suffered a smash, you know who to call.